Munich, 13 June 2018 – Advent International (“Advent”), one of the largest and most experienced global private equity investors, today announced the acquisition of Deutsche Fachpflege Gruppe, the leading provider of outpatient intensive care in Germany. Deutsche Fachpflege Gruppe is the market leader in high quality outpatient intensive care in Germany. With a total of 18 outpatient nursing providers and a non-profit inpatient facility, the Group offers a broad spectrum of care services in individual as well as community care settings. The company has a strong reputation as a provider of high-quality nursing care and is a pioneer in outpatient intensive care. Advent has an extensive track record as a healthcare investor. Since its foundation, Advent has invested in almost 40 companies in the industry and has sought to sustainably strengthen their market positions, through the implementation of international expansion and buy & build strategies. In addition to its extensive industry expertise, Advent has the operational resources and the capital required to support Deutsche Fachpflege Gruppe in implementing its sustainable growth strategy. 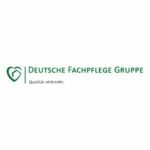 The current management team of Deutsche Fachpflege Gruppe, Volker Feldkamp, Marcus Reinecker and Bruno Crone will continue to hold a stake in the company as shareholders and will continue to lead Deutsche Fachpflege Gruppe as managing directors. The acquisition of Deutsche Fachpflege Gruppe is subject to relevant regulatory approvals. The parties agreed not to disclose any other terms of the transaction. Founded in 1984, Advent International Corporation (“Advent”) is one of the largest and most experienced global private equity investors. The firm has invested in over 330 private equity transactions in 40 countries, and as of December 31, 2017, it had €35 billion in assets under management. Advent International GmbH was established in Germany in 1991, and provides investment advice to Advent through its Frankfurt-based advisory team. Advent is one of the leading private equity investors in Germany and has been investing in European companies since 1990. Advent International GmbH has advised on investments of more than €3.1 billion in 30 companies. The team focuses on five core sectors: business and financial services; healthcare; industrial and chemicals; retail, consumer and leisure; and technology, media and telecom. Over the last ten years, investments have included Concardis Payment Group, a leading provider of digital payment solutions; MEDIAN Kliniken, a leading post-acute clinic operator in Germany; Casa Reha, a German nursing home group; Addiko Bank (formerly Hypo Group Alpe Adria), which operates a banking network in southeast Europe; allnex, the No. 1 global producer of industrial coating resins; Douglas Holding, Europe’s leading beauty retailer; GFKL, a provider of receivables management services in Germany; ; and Oxea, the leading producer of oxo-alcohols and derivatives. After more than 30 years dedicated to international investing, Advent remains committed to partnering with management teams to deliver sustained revenue and earnings growth for its portfolio companies. With management teams, investment advisors, operating partners and other stakeholders, Advent creates a shared vision for the future of our portfolio companies and works collectively to realise the potential we see. Deutsche Fachpflege Gruppe is the leader in non-clinical intensive care in Germany. Currently, 18 outpatient nursing services belong to Deutsche Fachpflege Gruppe, which provides individual care for patients and more than 50 residential groups nationwide, as well as an inpatient, non-profit institution for permanently rested children and young people. Patients requiring intensive care and respiration are cared for and treated for up to 24 hours by specially trained specialist personnel. Chequers Capital, established in 1972, is one of the leading European investors in private, mid-sized companies. Chequers, with c.€2.0 billion funds under management, operates with a team of c.20 professionals out of offices in Paris and Munich and focuses on investments in buy-out situations with an emphasis on international expansion and growth through buy-and-build strategies.